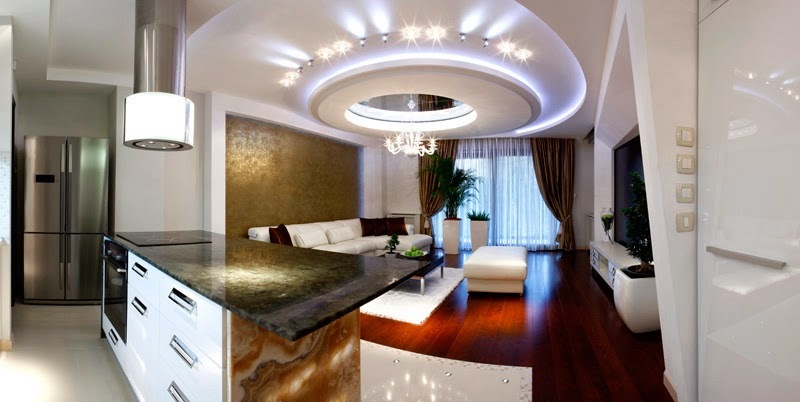 Modern construction technologies and a variety of finishing materials allow you to create unique false ceiling designs. 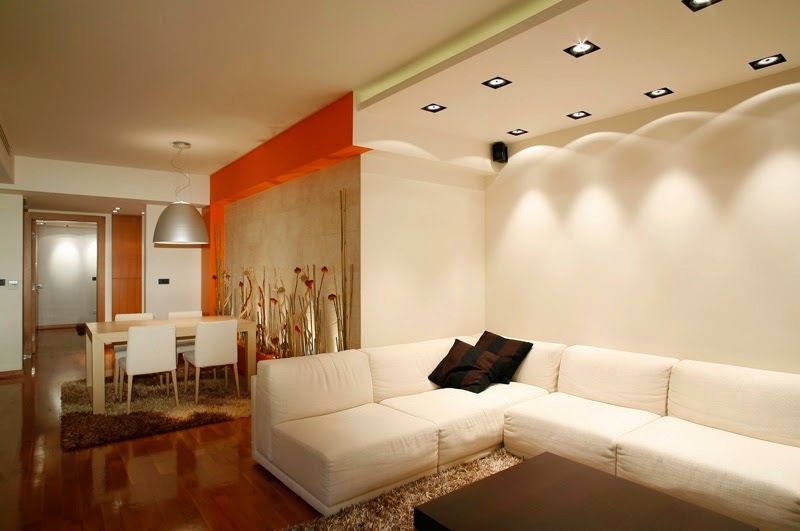 The article reveals the pros of finishing the gypsum board false ceiling and gives a description of some designs of the gypsum board ceiling. Today, practical and comfortable gypsum board mandatory material for the repair and decoration of the ceiling. 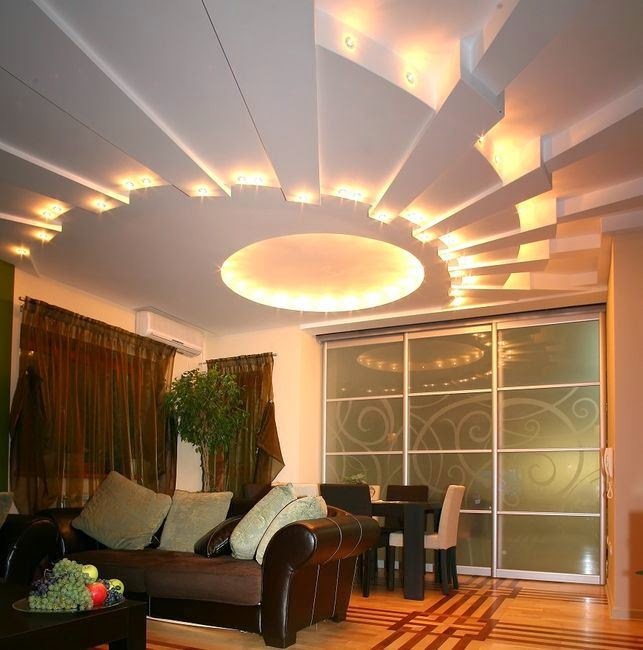 With this building material you can create unusual and original false ceiling designs, which can stress the uniqueness of the interior of any room. 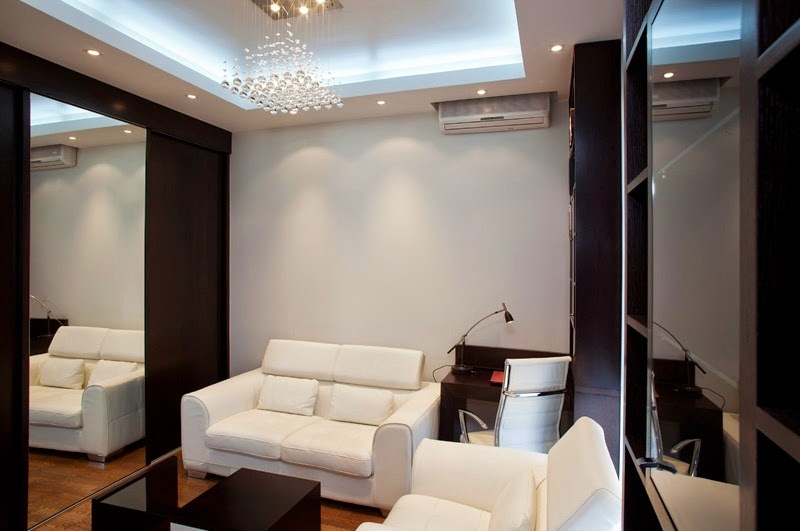 Using gypsum board in the false ceiling allows a perfect hide of all surface irregularities under it convenient to hide the electrical wiring. Specialists can offer you several design options to choose from. For completing the finished structure, you can use paint, wallpaper or decorative plaster. 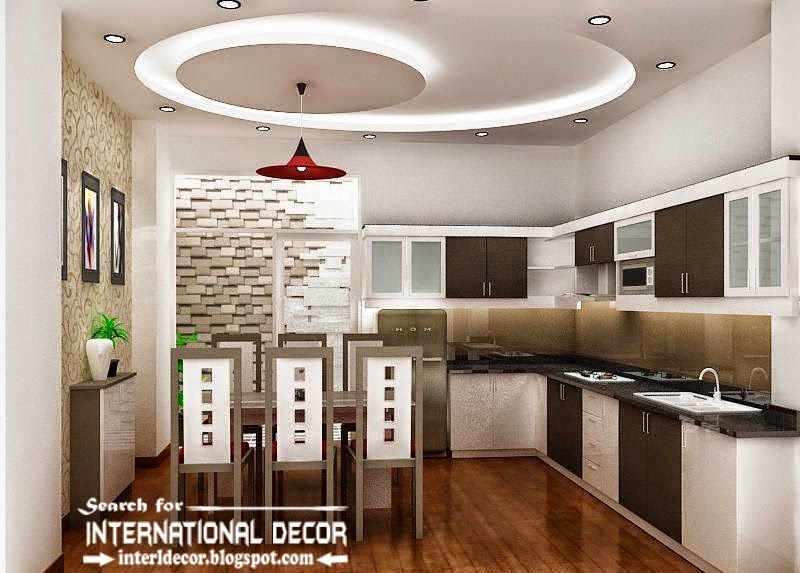 The choice of color of the false ceiling depends on the overall style of the room. But in any case, too dark tone crush and reduce the space while the bright contrast visually increase the room.